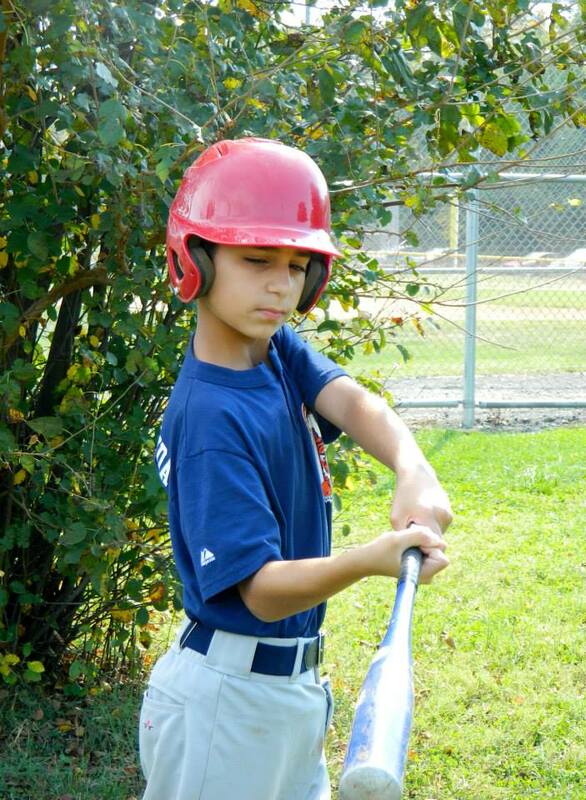 Hit-A-Thon is an extraordinarily important event for the Falls Church Kiwanis Little League. The fundraising we do during Hit-A-Thon goes to field repairs and maintenance, uniforms, equipment, and other resources. Without the Hit-a-Thon, registration fees would be far higher than they are today, likely resulting in far fewer opportunities for the kids. Plus, the actual event is a lot of fun for the players! If each team raises $1,000, we will meet our goal and keep fees at a minimum and maintain our fields and facilities. As we did last year, we are using an online tool called 99 Pledges to encourage online donations this year. Families should look for an email from 99Pledges that will proivde some overview information and how to raise funds. You can also visit the main pledge page and find your player or players. Each team will have a designated Hit-A-Thon Coordinator who will contact players' families soon with all of the relevant information. There will be prizes – including Nationals – for both individuals and teams based on hitting and fundraising totals. Your next step: share, share, share! Just share your pledge page with friends and family via email, Facebook, Twitter and/or whatever other means you feel are effective. Include a personal message (see sample below) to let your supporters know their generous donation is going to support a good cause. Hi! [Player Name(s)] will be participating in her/his/their Little League baseball team’s hit-a-thon in early May. Please help us give our players the best experience possible by making a flat or per hit donation. Below is a link to our fundraising page. Every little bit helps tremendously. Thanks in advance! Have a great season, and thank you for supporting the Falls Church Kiwanis Little League! The player who raises the highest level of donations will receive a baseball autographed by two-time Cy Young winner Max Scherzer AND two tickets to the Nationals vs. Reds game on Sunday, June 25. For every $1,000 raised, Majors, AAA, AA, and A teams will be entered into a drawing for the ENTIRE TEAM to go to the Nationals game on Sunday, June 25. The team raising the most money wins tickets for the ENTIRE TEAM to the Nationals game on Sunday, June 25. Each Player raising the most money for their division wins two tickets to the Nationals game on Sunday, June 25. Each distance champion for their division wins two tickets to the Nationals game on Sunday, June 25. For every $500 raised, Tee-ball teams will be entered into a drawing to win a team party. The Hit-A-Thon is very similar to a walk-a-thon. Each player solicits sponsors who pledge to make a tax-deductible donation to our league. The amount of the pledge can be based on the total distance each player attains or a specific dollar amount (which is easier). Each player gets 10 hits, and we count the six longest hits. The distance of those six hits is totaled for the player’s score. Why do we need to raise money for the league? Doesn’t the registration cover it all? Hit-A-Thon, registration fees would be about $230.00 per player. In addition to allowing us to provide top-notch equipment and fields, we conduct players’ and coaches’ clinics and continually improve our facilities. The more players who participate, the better it is for FCKLL, and the more fun we all have! We are trying to raise $1,000 per team. The teams who win the team prizes usually have every single player participating. For T-ball and Slugger teams the goal is $500 per team. How does the Hit-A-Thon work? The Hit-A-Thon is very similar to a walk-a-thon. Each player solicits sponsors who pledge to make a tax-deductible donation to our league. The amount of the pledge can be based on the total distance each player attains or a specific dollar amount (which is easier for you). Each player gets 10 hits, and we count the six longest hits. The distance of those six hits is totaled for the player’s score. Many participants find it easiest to collect a flat donation of $5, $10, $20 or any amount. Players using the flat rate method have had success collecting from family, friends, in front of businesses, at the metro and canvassing neighborhoods. This year you we are using an online tool to handle donations and share via facebook, twitter or other social media. Other sponsors will pledge a certain amount per foot, usually between $.03 - $.05. 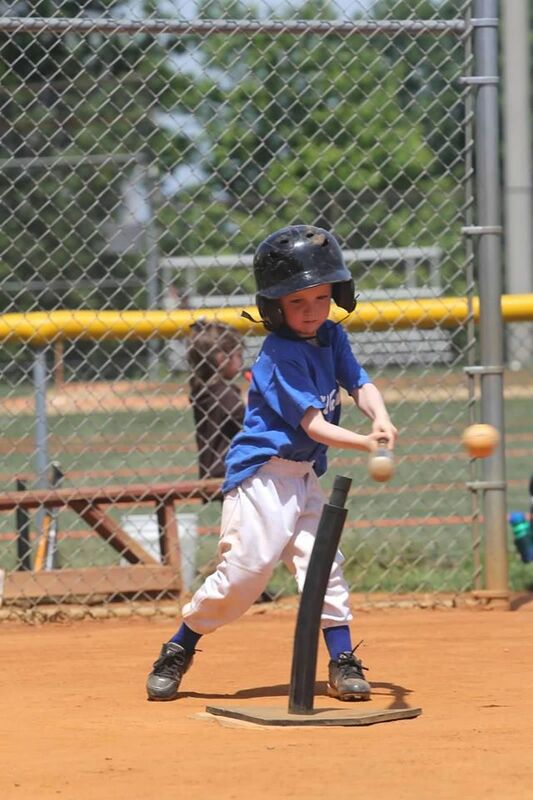 T-Ball players usually hit 400-600 feet, Major leaguers hit 800-1500 feet. How do our friends and family donate? You will be sent a link to your player pledge page on 99Pledges. In addition, you can you can find your player’s page at https://99pledges.com/fund/FCKLL2017. Donations can be made through the secure website by credit card. REMEMBER: All donations to the Falls Church Kiwanis Little League, and are tax-deductible. You should begin sharing your player’s pledge page and collecting pledges and donations as soon as you can. For purposes of determining prizes, the cut-off for fundraising is May 31, 2016, though the website will remain active if any donations come in after that date as well. Prizes will include Washington Nationals tickets! Specific details for other prizes will be provided at a later date and on the website. Do the players actually enjoy the Hit-A-Thon? This is a traditional highlight of the baseball season. Kids enjoy hitting for distance, earning prizes, seeing who hits home runs and the break it provides during the season. Regardless of your fundraising, this is a fun way to be with the players. This year the majors will hit on Friday night, May 5, and other teams on Saturday, May 6 The hitting schedule will be posted on www.fckll.org. Email us about volunteer opportunities including setting up the event on Friday, May 5 and 6, keeping score for your team, or helping with fundraising.